CES is just a few days away, and some manufacturers have already announced new products which will be displayed at the big event next week in Last Vegas. Archos is one of them who have released some budget-friendly 4G smartphones, as well as a number of new tablets featuring LTE connectivity. 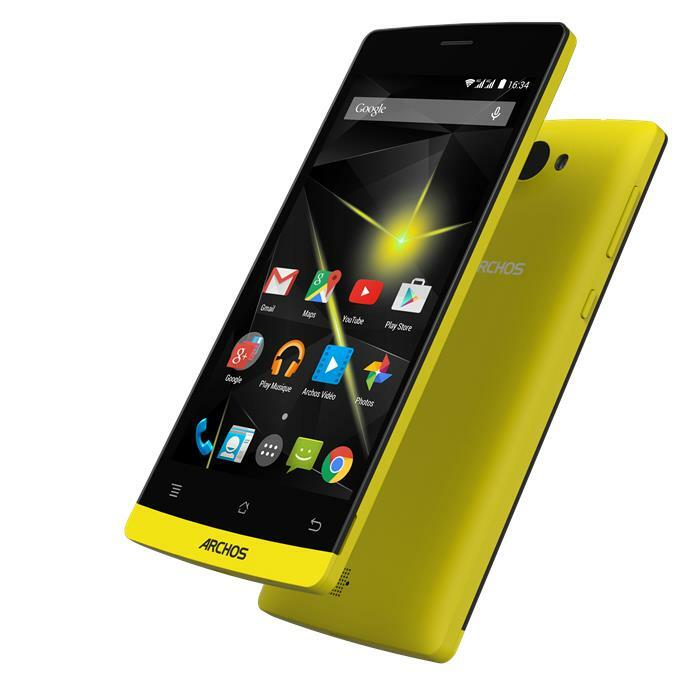 Starting with the Archos 50 Diamond smartphone, a handset which carries a sub-£200 price tag and offers an excellent set of specifications, including a 5-inch display sporting a 1080p resolution, Qualcomm Snapdragon 615 SoC and 2GB of RAM, so you can rest assured that it will be able to handle most of the power hungry tasks you throw at it. There’s a 16MP main shooter for photos and videos, a 8MP front-facing camera, 2,700 mAh battery, microSD card slot, and runs Android 4.4.4 KitKat as its operating system. The company also introduced a number of new tablets, including 70 Helium 4G, 80b Helium 4G, and 101 Helium 4G. The 70 Helium 4G is a 7-inch tablet, while the remaining two boasts 8-inch and 10-inch size respectively. All tablets are powered by a 1.5GHz MediaTek MT8732 processor, 1GB of RAM, and 8GB of internal storage with a microSD card slot. The smaller tablets boast a mediocre 2MP camera while the 10-incher features a 5MP one. As far as the resolution and battery is concerned, the 70 Helium 4G comes with a 1024 by 600 pixels resolution and a 2,500 mAh battery, 80b Helium 4G features a 1,280 by 800 pixels, and a 3,600 mAh battery, and last but not the least, the 10-inch tablet features a similar resolution, but boasts a 6,500 mAh battery. There are other pocket-friendly smartphones announced as well, which will be available for display at CES next week. There’s no word about the pricing, but we’ll find out more about it next week.